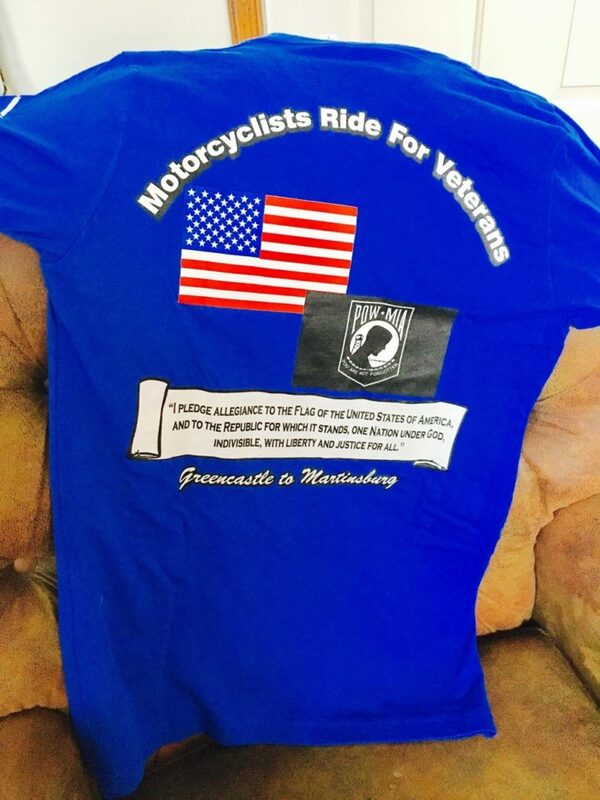 If you were looking for other ways to help the vets besides the ride on June 3rd, you’re in luck! Below are several items that are being sold OR raffled off in order to raise money. This year’s Operation God Bless American tee shirts are royal blue and we have both men and women’s. Women’s have a V neck and men’s have a crew neck with pocket. Picture is the back of the shirt. The entire pledge is on this shirt. Brightly colored clothing tends to run in the wash (hello, pink socks!). You can prevent fading and extend the life of colored clothes by making them colorfast before washing. Soak new colored clothing in solution of one part vinegar and one part water for 20 minutes to prevent them from bleeding in the wash. Test on an inconspicuous spot before immersing fabric and then launder according to the manufacturer’s instructions.